Personally I’ve never cared for the word “succinct.” Maybe you’ve noticed. Well, of course you have. But the terrifying events in Paris last weekend brought home something I’d been trying to clarify for myself for some time. It’s about how we handle issues of craft and industry in publishing. And it’s my provocation for you today. What if we’re over-thinking, overwriting, overdoing just about everything we touch in publishing? Because we can. What if we’re not doing it but instead are just doing stuff about it? What if the sparks are flying because we’re grinding, grinding it all into the ground? As I watched my former colleagues at CNN International struggling to handle the #ParisAttacks coverage, I knew exactly what they were going through. On the ground, it’s often called “incremental coverage.” And it’s a gruelling, brain-blistering exercise—much harder than it looks and involving hundreds of people you never see. Everyone must try to get the latest, “the very latest!” bit of news. I do mean “bit.” As in scraps. You see one word or a short phrase from a French official churned over and over in fonts. That’s because that’s all there is. Nothing else new. Each death and injury number offered by an official source is chanted over and over. Everyone tries to avoid speculation, everyone fails. Everything carries Breaking News graphics, very little is truly breaking. In a major story, this exhausting bid for new, fast, and anything head-turning can go on not for hours but for days. Days. Sustaining this is incredibly hard. You’re trying to hold an audience’s attention with small new elements of detail when there are 600 channels above you on the dial and 200 below you. And just about every one of those other channels has something less upsetting to offer than the unforgivable violence perpetrated on those innocent victims in Paris by such unholy assailants. Many network-news employees will define their careers by the high-relief of these stories. They’re the only times the 24-hour news services really blow through the roof on ratings, of course. A nightmare like the one we saw a week ago can wipe the goofy smile off any Candy Crusher’s face and draw even the silliest of society to our glowing screens of horror. Rightly so. As Miller had it, “Attention must finally be paid” to such inexcusable violence. For all the missteps and vamping of this coverage, these are modern news coverage’s most powerful moments. And so overdone. By the time one of these cycles has been so agonizingly flogged—albeit for all the right reasons—viewers are numb. Our coverage of the Second Coming will make us all yawn before it’s over. 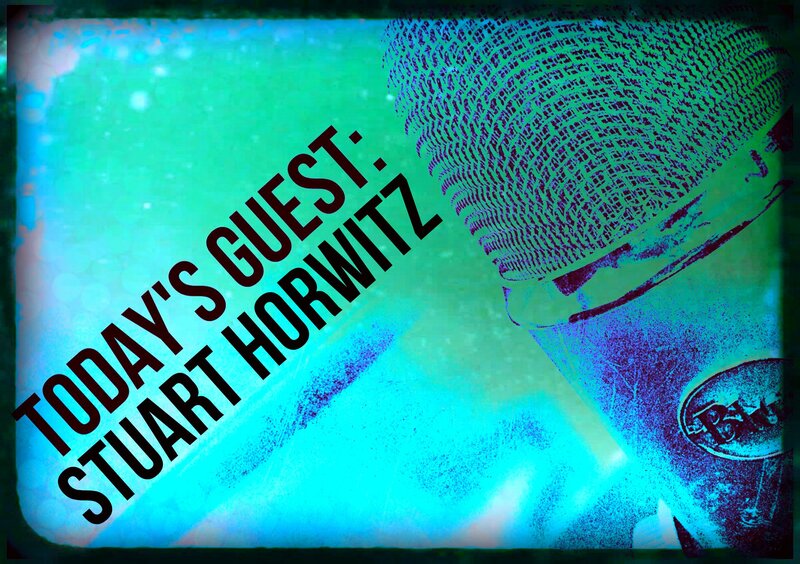 Please welcome guest Stuart Horwitz, founder and principal of Book Architecture, a firm of independent editors based in Providence. Book Architecture’s clients have reached the best-seller list in both fiction and non-fiction and have appeared on Oprah!, The Today Show, The Tonight Show, and in the most prestigious journals in their respective fields. Stuart’s first book Blueprint Your Bestseller: Organize and Revise Any Manuscript with the Book Architecture Method (Penguin/Perigee) was named one of 2013’s best books about writing by The Writer magazine. His second book, Book Architecture: How to Plot and Outline Without Using a Formula, was released earlier this month. I believe that all of the effort and some of the expense that writers used to put into their collateral: brochures, business cards, even client-facing offices, should now go into websites instead because we live online. It’s that simple! Connect with Stuart on Facebook and on Twitter. Your writer’s website is one of the most profound ways you can secure fans and attract soon-to-be fans. Readers can congregate to learn more about you: your related projects, your products, your influences and your personality, as well as connect with you directly. All the effort and some of the expense that writers put into their collateral for brochures, business cards, even client-facing offices, should now go into your website—because we live online. It’s that simple! For this post, I’d like to invite in megawatt web designer, Andrew Boardman, of Manoverboard. Manoverboard is the most awesome web partner I could imagine, I just want to make sure to say that. Andrew’s looking over my shoulder as we write this, but if you take issue with a point below it’s likely my fault. Make it scannable. We’re writers, you know? We like to write long sentences, and deploy our favorite punctuation that enables us to create dense paragraphs packed with meaning. Not on the web. On the web people read in a clockwise fashion, and they skip a lot, landing on the bolded or enlarged or italicized features to see what interests them. And they look at pictures – lots of pictures. Don’t let this alarm you: assured and competent writing is very welcome. You just need to learn a different form and play by the rules. I don’t know, maybe you can pretend you’re learning a villanelle in college or something? Their online presence and engagement is unique to them and, at least from my POV, sustainable and meaningful. If you’re active on Twitter, you’ve probably seen Roxane Gay in action, even if you don’t follow her. She’s funny, sharp, personal, challenging, and unstoppable. Gay released two books this year (a literary novel and a book of essays on feminism), and she’s been out there writing for a long time. I met her in person at the Midwest Writers Workshop, and she is a shy introvert like many writers I know. We sat together on a publishing panel, and she knew what writers needed to hear: Just calm down and write, okay? You will hear a lot of mumbo jumbo about being a writer and maintaining an online presence. Do it if you want, don’t if you don’t. There are successful writers who have little to no online presence, though I don’t recommend going that route.